Book Lovers 4Ever: Maddy Christmas by Harper Jewel, SA Garcia, Meg Bawden, & Chris McHart Book Blast plus Giveaway !!! 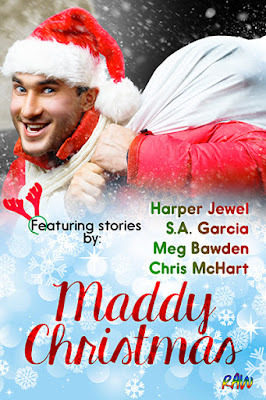 Maddy Christmas by Harper Jewel, SA Garcia, Meg Bawden, & Chris McHart Book Blast plus Giveaway !! !